I'm constantly looking for novels that will not only interest my middle school students, but my 5th grader, as well. 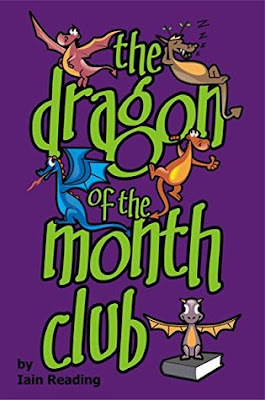 After reading The Dragon of the Month Club by Iain Reading, I knew immediately that this would be a great fit for both my students and my son. It's a fantasy that's aimed towards ages 8-12; however, I can see both older and younger kids enjoying this book. The book is also the first in a series, and now we can't wait to see what the next one holds! 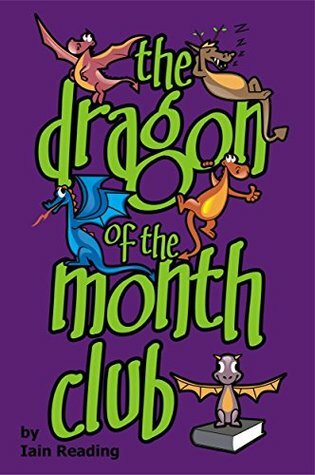 The Dragon Of The Month Club, by Iain Reading, is the exciting first installment in a new middle-grade (ages 8-12) fantasy book series that tells the story of Ayana Fall and Tyler Travers, two best friends who stumble across an extraordinarily magical book and soon find themselves enrolled as members of a very special and exclusive club - The Dragon of the Month Club. This book is a great way to delve into an exciting adventure that the two main characters share, as they experience the different settings brought about as they travel from one "book-inspired world to the next." Kids AND adults of all ages are sure to love escaping into this story. As we read the book, my students completed these digital and printable before, during, and after reading task cards that address the following: main idea, setting, main and minor characters, compare & contrast, point of view, summarization, predictions, author's purpose, mood, and more. It served as a great way to monitor students' understanding of the book. What fantasy books have you read w/ your students or children? Fill me in in the comments below. I'd love to have a running list to add to what I have for my students.